Jose Cuervo Especial Gold Tequila is a popular Tequlia available from DrinkSupermarket.com in 70cl to buy online. 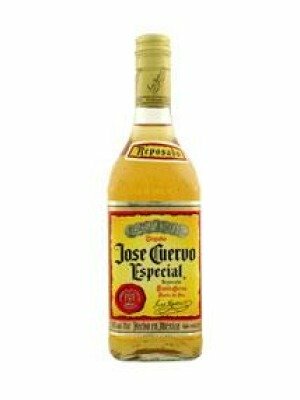 Visit DrinkSupermarket.com for the best price for 70cl of Jose Cuervo Especial Gold Tequila or compare prices on our other Tequlia products. This gold tequila from Jose Cuervo is created from Blue Agave and a mix of Reposado and other high-quality agreeable Cuervo tequilas. Its distinctive personality and consistent high caliber has helped consolidate Cuervo's position as the largest manufacturer of tequila. You can buy Jose Cuervo Especial Gold Tequila online in most retailers and find it in the Tequlia aisle in supermarkets but we found the best deals online for Jose Cuervo Especial Gold Tequila in DrinkSupermarket.com, TheDrinkShop, and others. Compare the current price of Jose Cuervo Especial Gold Tequila in 70cl size in the table of offers below. Simply click on the button to order Jose Cuervo Especial Gold Tequila online now.